Board games are a childhood rite of passage. Most of us probably have many fond memories of family game nights filled with laughter and a little good old fashion competition. When it comes to preschool games though, many mamas would rather bang their heads against a wall than play one more game of Candy Land or Chutes and Ladders. Luckily, times have changed and so have the options when it comes to preschool games. There is far more variety available now, so you no longer have to play the same games over and over and over again. Keep things interesting and have fun with these newer preschool games while also teaching your kids some great lessons and skills. Count Your Chickens I love the cooperative aspect of this game and it’s a fantastic way to help toddlers/preschoolers with social skills. Also a grand way to whip the counting skills into shape. Zingo Sight Word Edition There are several versions of Zingo and they’re all wonderful. This is a modern, faster paced version of traditional Bingo, this one helps with sight word recognition which is one of the first steps on the road to reading. Thinkfun Roll and Play The best game I’ve ever played for toddlers! Roll the big cube, choose a card that corresponds to the color rolled and then perform the action on the card! From the age of 18 months on, my youngest loved to participate in family game night and this made it possible for all of us to laugh & play together! Sequence For Kids The game that millions love has a version for kids, too! There is strategy involved which makes it enjoyable for older players as well, no reading required, great multi generational option. Sneaky Snacky Squirrel Great for learning strategy & critical thinking, this addictive game provides plenty of laughs while teaching color recognition, counting, & eye/hand coordination. Colorama This is a perfect 1st game, no reading necessary, excellent way to learn and emphasize shape as well as color recognition. Monkeys Up It’s time to flip, switch, or steal to keep those crazy monkeys moving! Lots of silliness & laughing, full of action. Snail’s Pace Race This cooperative, non competitive game is a good way to introduce board games to your preschooler. Work as a team to help the snails race to the end, color, number and shape recognition abound! Rivers, Roads, and Rails Your train, boat, or car lover will adore this fun game! I love the imaginative aspect alongside the associative skills that aren’t common in preschool games. Surprise Slides There are many versions of this game and if your kiddo has a favorite character like Mickey Mouse, Sofia The First or just about anyone else, there’s probably an edition they’ll really love! This makes a fab first game because it really introduces taking turns with no reading required. Robot Face Race No waiting! All players play all the time as you try to match robot faces with crazy bodies, excellent for memory building, concentration, & visual discrimination. Pancake Pile Up Balancing, coordination, and following instructions are 3 main skills that’ll keep the motor skills sharp and little minds learning! 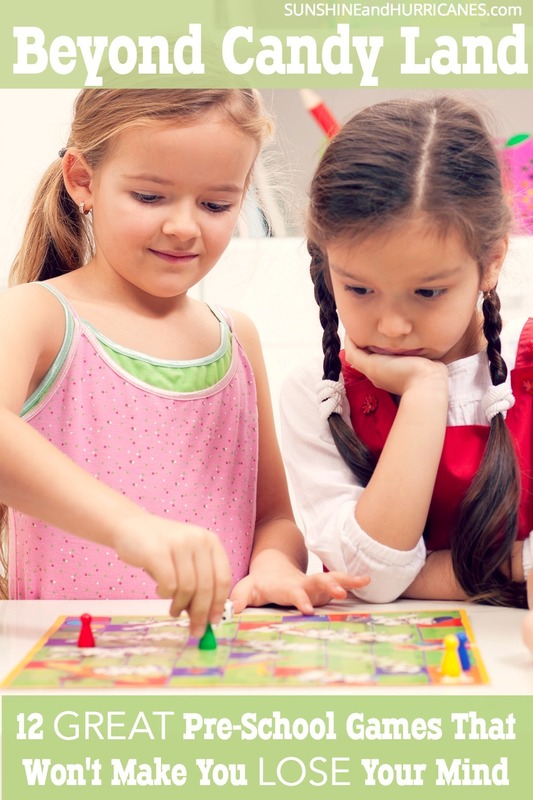 Do you have a favorite game to play with preschoolers? We’d love to hear about, be sure to leave us a comment so we can join your family in all the FUN! Need more game ideas? We’ve definitely got you covered! 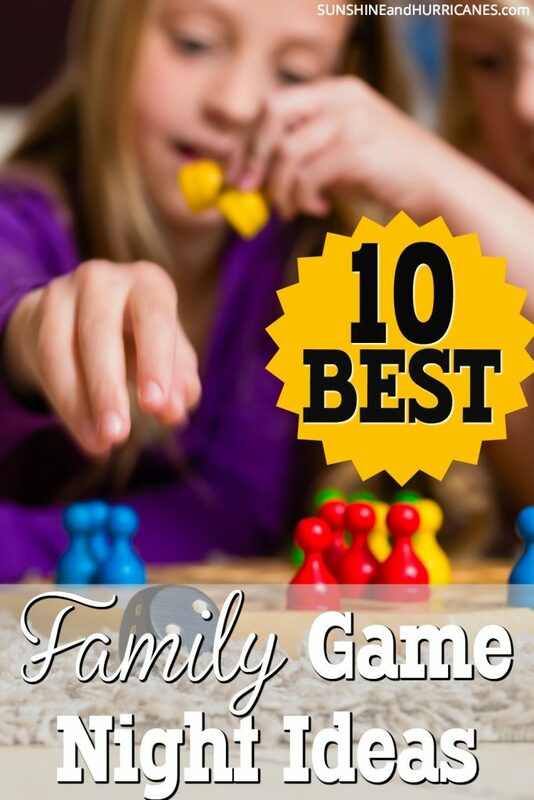 Suggestions for the Top 10 Board Games For Tweens; From Moms of Tweens, Best Board Games For Teens; Ideas from Teens and even a super fun twist on family favorites: 10 Best Family Game Night Ideas ! What are your family’s favorite preschool games?